This is a fantastic 1950 all original Recliner with a Bronco Buster in full color sewn into the back. 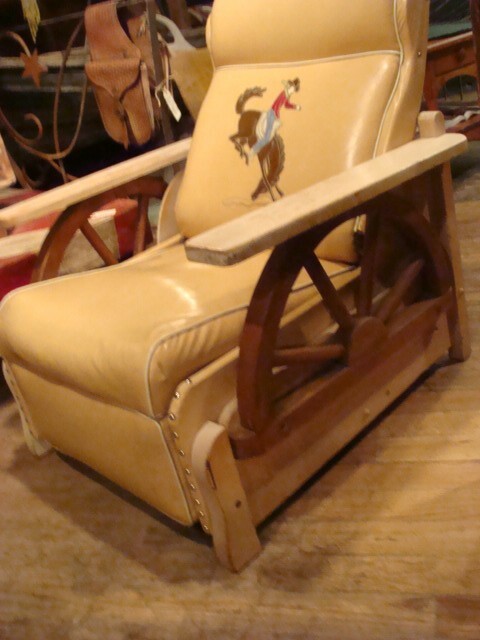 This is a fantastic 1950 all original Recliner with a Bronco Buster motif in full color sewn into the back. Please email cowboyron@cowboycabin.com with questions or call 406 270-2842.